The British cruise ship Black Watch which is operated by Fred Olsen Cruise Lines has had a new problem which is now one of many. The 28,613 ton ship was forced to stop and anchor near Isla Picton in Chile which is 50 miles away from Cape Horn to make repairs. This has just been the latest problem for the ship, just recently on the same voyage a passenger sadly died 70 miles of the coast of Brazil. The passenger fell overboard on 30th January but the ship’s crew were unable to make a rescue due to very rough weather conditions. The body of the passenger was reportedly left in the ocean. There is now an investigation into the incident and the British based cruise line is working with authorities. Black Watch is currently on a world cruise which set sail from Southampton on 15th January. The cruise is on 114 night voyage which includes sailing around South America where it currently is. There are 804 passenger on board the ship mainly all British. [quote_box_center]Fred. 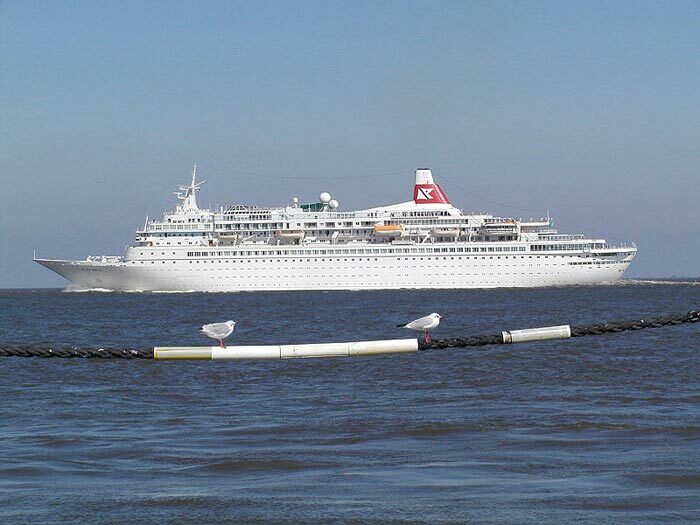 Olsen Cruise Lines can confirm that its 804-guest ship, Black Watch, is currently anchored east of the ‘Isla Picton’ area in Chile, called ‘Rada Picton’, following a technical issue with the ship’s steering gear that was identified this morning [9th February 2014]. It was necessary to anchor the ship in order to investigate the problem, and this is now in the process of being rectified. All the relevant authorities and Port Agent were informed of the need to anchor the ship in order to make the necessary investigations, and guests have been kept updated on developments throughout the day. Every effort will be made to maintain the ship’s original itinerary as closely as possible, and the safety and well-being of all guests and crew remains the priority at all times. The next port of call is expected to be Valparaiso, Chile, on 15th February 2014. Please feel free to post your opinions in the comments below about the problems of the Black Watch cruise ship.